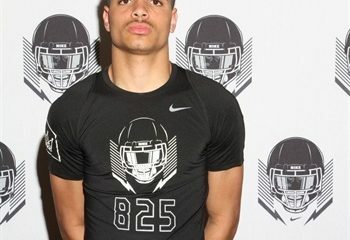 There was 1 QB from the State of Washington in the Class of 2018 going into last week. 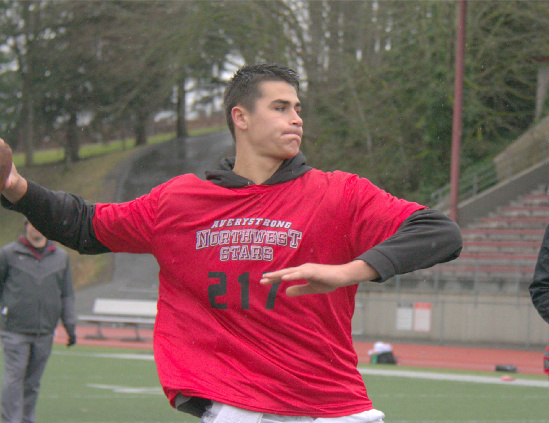 Jacob Sirmon of Bothell HS is not only the top rated QB in the NW but he is one of the best in the US with 30 plus offers stacked up. 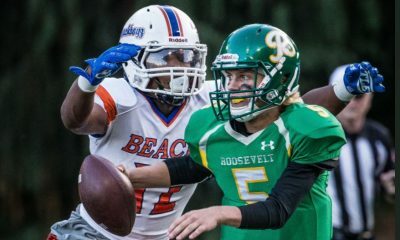 The future UW Husky was a lone beacon of light until Nooksack Valley big gun Casey Bauman landed offers from Idaho and Montana State this past week. We have enjoyed watching Casey who was a top competitor at the NW 9 last season. He is a big body at 6’5″ and 223 lbs and very mobile and athletic. He can move too. In the pocket he is sharp and can make all the throws and like most great QB’s he is a good leader. These two offers were the result of him attending camps at both schools and once the schools saw him work they wanted him. Let us point this out. He was at College Camps on their campuses. We will say this over and over again. There is no substitute for going right to the coaches who can offer you. This is where the talent is obvious and can not be denied. Casey did this the right way and it paid off. I want each of you parents and athletes reading this to ask yourselves if this is what you are doing. Or are you chasing hyped events and meaningless showcases? No Coaches = No Chance. 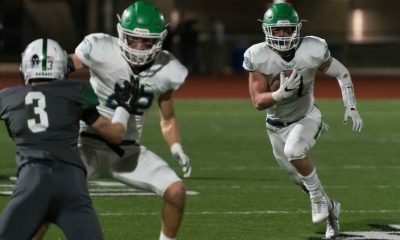 Keep an eye on Casey because this kid is a winner and with that arm, size, and vision he has a very high ceiling and I think it is unlikely he has seen his last offer. Way to go Casey!